Acute cholecystitis (AC) is an important cause of emergency admissions among the elderly. The use of percutaneous cholecystostomy (PC) as bridging therapy among high-risk patients is widely accepted. However, the use of PC as definitive treatment is controversial. To determine the characteristics, clinical outcomes and predictors of recurrence of AC among patients who underwent PC. 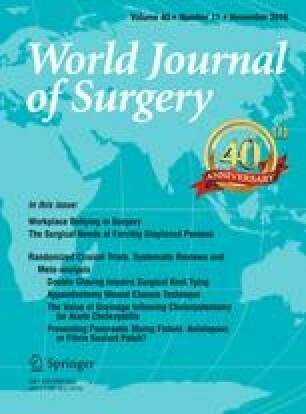 A retrospective case series of 71 consecutive patients [73 (38–96) years, 43/71 males] treated with PC for AC at a tertiary hospital from 2007 to 2013, with data collected from case records. Patients were followed up for 37.0 (0.1–110.8) months after PC. Mortality rate was 8.5 % (6/71) during the index admission and 32.4 % (23/71) at the end of follow-up. Recurrence rate for AC was 11.9 % (7/59). Median time to recurrence was 62 (13–464) days. PC was definitive treatment in 33/59. Predictors of recurrence were higher serum alkaline phosphatase (ALP) at diagnosis (OR = 1.01, 95 % CI 1.00–1.02, p = 0.021) and acute myocardial infarction (AMI) during index admission (OR = 8.00, 95 % CI 1.19–54.0, p = 0.033). Fifteen patients (26.3 %, 15/71) had post-procedural complications including dislodgement (14 %, 10/71), tube obstruction (7.0 %, 5/71), bile leaks (2.8 %, 2/71), gallbladder perforation (1.4 %, 1/71), bowels perforation (1.4 %, 1/71) and severe post-procedural haemorrhage (1.4 %, 1/71). PC is effective and relatively safe in high-risk patients with AC. However, patients with higher ALP or AMI during index admission have higher risk of recurrence and might benefit from definitive cholecystectomy. There were no sources of funding used for research and/or publication.